The Congress of South African Trade Unions (Cosatu) has given government an ultimatum to stop discussing the fate of public servants unilaterally or risk losing the ANC-allied labour federation’s support at next year’s general election. 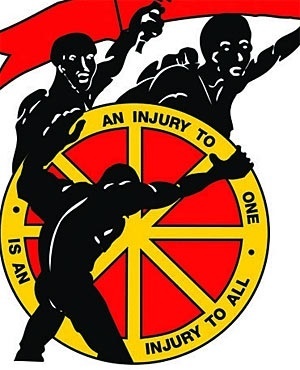 Cosatu's national spokesperson Sizwe Pamla was speaking to SAfm morning radio host Bongi Gwala on Monday morning, ahead of the trade union federation's central executive committee (CEC) meeting. The CEC meeting is taking place in Johannesburg on Monday and will conclude on Tuesday. His remarks come in the context of reports, first published by the Mail & Guardian, that government was considering cutting 30 000 jobs in the public service to save about R20bn. According to the Mail & Gaurdian, the layoffs were discussed at Cabinet's recent lekgotla. According to Government Communication and Information Services spokesperson Phumla Williams, Cabinet lekgotlas are seldom followed by public media briefings. No follow-up briefing has been scheduled, she told Fin24 on Monday morning. However, Minister of Public Service and Administration Ayanda Dlodlo said on Friday afternoon that there was no plan to lay off public servants en masse. When asked about Cosatu’s view on the reports, Pamla told Gwala: “We are not going to allow government to implement retrenchments in the public service. Simple as that." He said neither government nor the Department of Public Service and Administration consulted workers about this. “We dismiss this and our latest talks with government were to discuss the conditions of workers and not cutting any stuff. So far, we are just reading papers and listening on the radio and we are as confused as the next person. Our position is that we don’t understand what is being said, but we are opposed to it as it has been reported,” said Pamla. Public Service and Administration spokesperson Mava Scott, who was also being interviewed by Gwala, said the framing of the reports of alleged plans to lay off public servants “stoked widespread panic and were baseless”. “If there are any two things I must agree with, it’s that consultation and engagement are key with social partners. If there is any matter like what the reports said, there is no way we would do that. "All we know is that the public service lacks certain technical skills. Instead of talking about the state being bloated we should upgrade skills and professionalise,” said Scott. Scott admitted that in the long-term government would have to consider the means to curb the growing headcount of the public service and that this was unavoidable. “We have to come to a point where we engage employees, especially in the non-core, to consider severance packages or an early retirement. You must engage them, but it must be done in a proper process that includes the unions,” Scott said. He said the plan was to reconfigure the public service and to make it function more efficiently. However, Scott said, there has not yet been an opportunity to crunch the numbers on the savings and it remained unclear how much the public service head count would need to be reduced by, if it came to that. "The department has been exploring how to make up for a R10bn shortfall for the last agreement. As far as measures to curb the wage bill go, there are initiatives that we already have that will claw back on the shortfall. At the moment nobody has sat down to crunch the numbers, which is why we are so concerned about the numbers bandied about by reports,” said Scott. Pamla said any plans to reduce the number of public servants by laying some of them off was a line in the sand that the ANC government dares not cross. “If we find out this is true, we will pull out of the job summit and we will have to go to the congress with a lot on our minds and ask ourselves whether it is worth supporting the manifesto of a party that is cutting out jobs,” Pamla said. Pamla concluded that the issue of reducing the number of public servants had not been tabled at the bargaining council between unions and government. It has only been reported in the media and, until such time as government consulted with labour, would not be recognised.